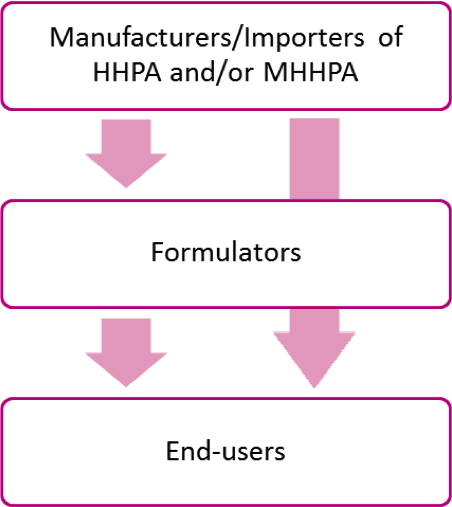 The structure of the industry using anhydrides is displayed. All manufactures/importers and the majority of formulators of anhydrides have joined the Anhydrides Joint Industry Taskforce. End users are operating mainly in the electro-technical industry; the anhydrides are used as a monomer in a polymerization reaction with epoxy to produce a thermoset with unique electrical insulation properties. As anhydrides are used as a monomer in a polymerisation reaction to form a polymer which electrically isolates switchgear and high voltage rotating devices, they are no longer pressent in the final article. The production process only occurs in an industrial setting. Switchgear is the combination of electrical disconnect switches, fuses or circuit breakers used to control, protect and isolate electrical equipment. 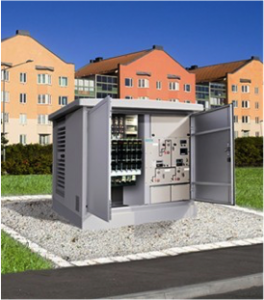 Switchgear is thus essential in the transmission and distribution of electricity throughout the EU. Companies operating in this sector are worth over €25 billion euro and employ over 200.000 people in Europe (T&D Europe). More information can be found in the AJIT Public Consultation Report. HVRM are the generators and motors which are used in industry to generate and effectively use electricity. 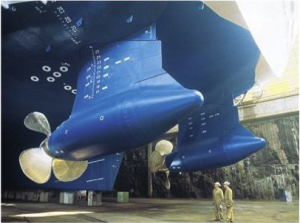 Application of HVRM range from hydro and wind power generation to ship engines to industrial motors. More information can be found in the AJIT Public Consultation Report. Since several literature reports were published at the end of the 1990s which demonstrated that the anhydrides could potentially have an adverse effect on the health of workers, industry has gradually implemented strict risk management measures to prevent the occurrence of occupational asthma, as a result no cases of adverse health effects have been seen in recent history (see AJIT Medical and Exposure Inventory Report).